LOVE this poster. 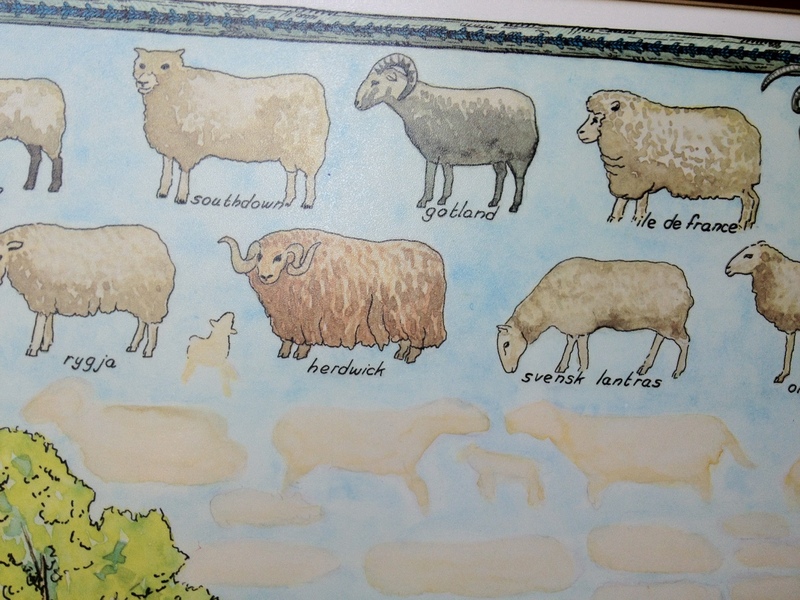 The small print at the bottom notes that it was produced by Louet (wheel and loom makers… hmmmm…. 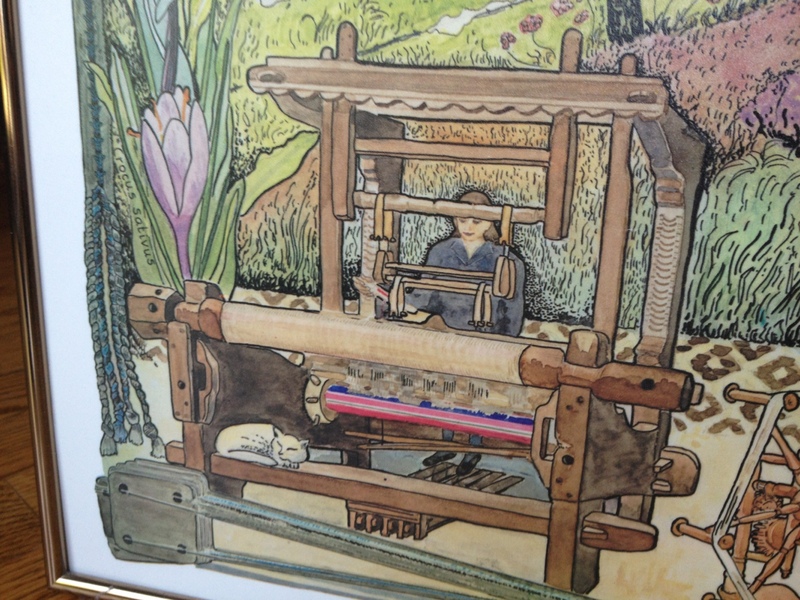 in fact I’m currently lusting after a louet david loom….. There is a used one in CHERRY for sale not far from me. 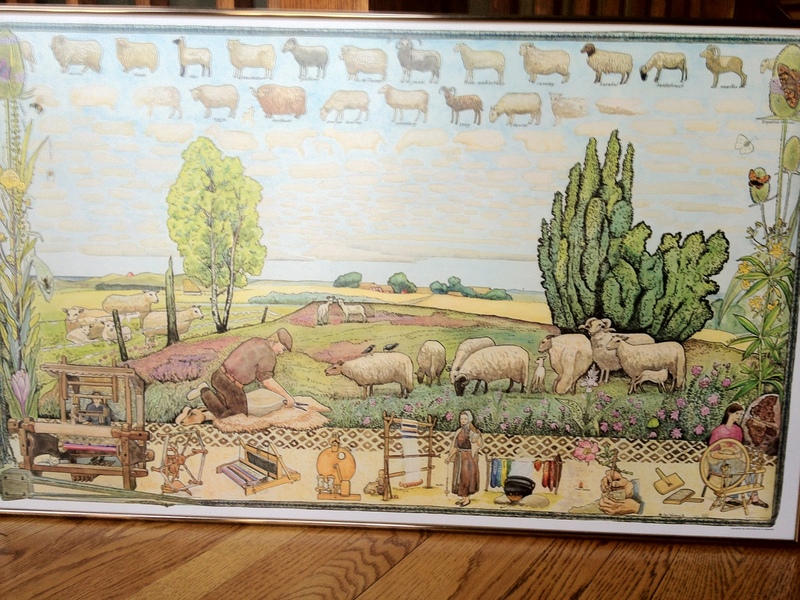 But I’ll stop digressing…..) I haven’t figured out exactly where to hang the poster, but it will definitely have a prominent place of honor in the crafty basement studio. My other trip, to my hometown, also yielded some crafty treasures. 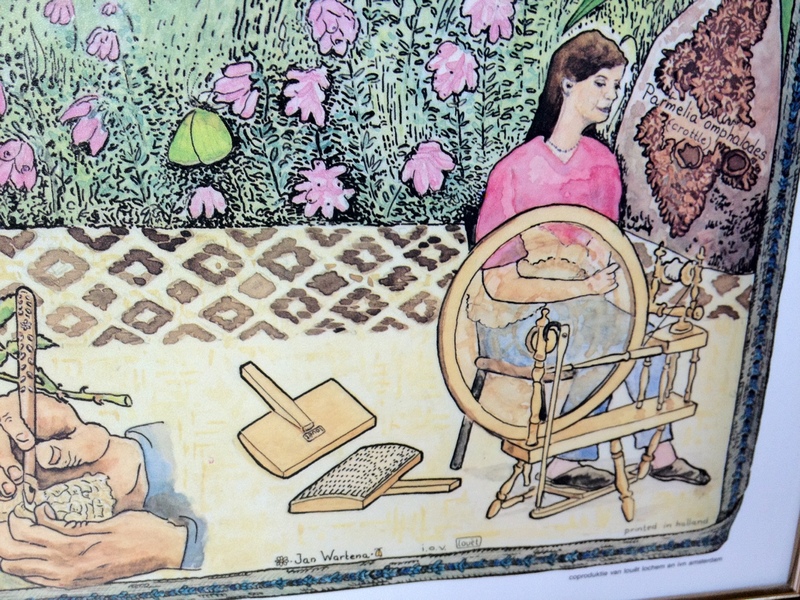 My late grandmother (who I called “Nanny”) was a quilter. Nanny also was very thrifty – as was the norm for her generation, saving and reusing as much as possible. 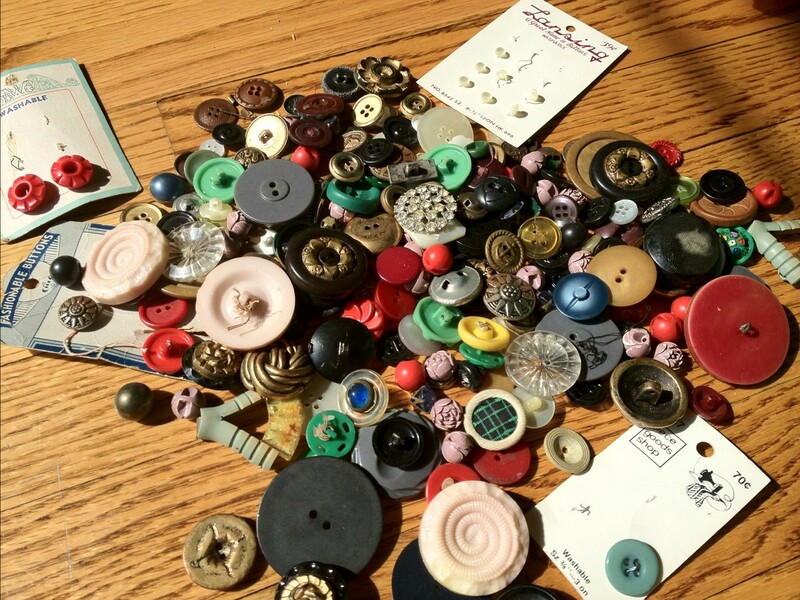 When clothes had worn out, she cut off the buttons and saved them for future projects. 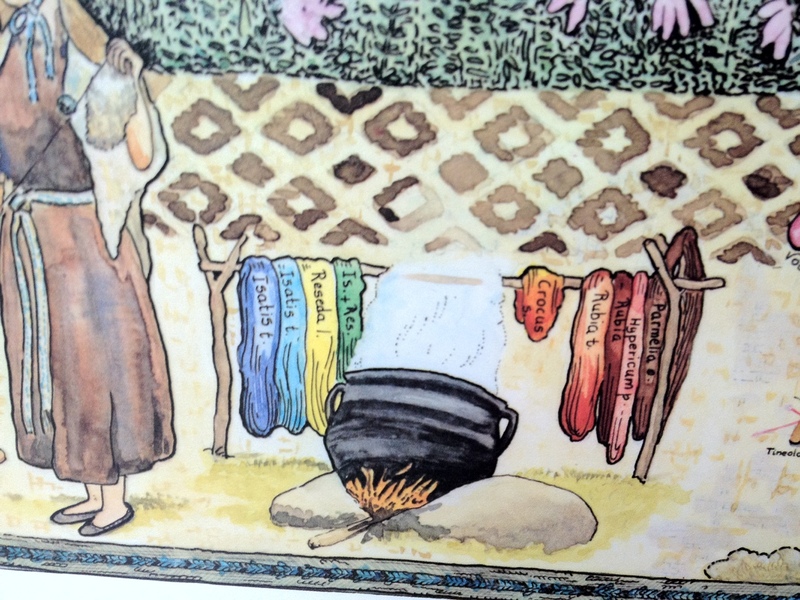 I’m guessing she also saved the fabric to cut up and reuse in some of her beautiful hand-sewed quilts. My mom sent me home with a large bag of Nanny’s button collection, though she did keep some of the buttons that we suspect were from my uncles’ military uniforms. I’m going to find a nice glass jar to keep these in so that I can see them all the time. There were also a bunch of vintage notions – some from my Nanny, and some my mom used during my childhood. 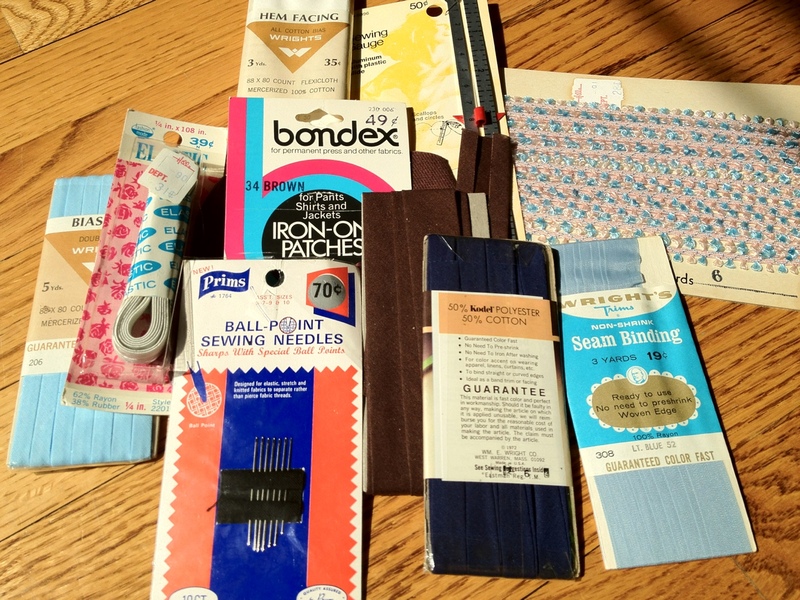 These included all kinds of trims, needles, etc…. The prices are crazy low (19 cents for 3 yards of seam binding.) And unfortunately I obscured the hilarious 1970s picture on the package for the Bondex “iron on patches.” I know I sported some iron-ons on my jeans in the 1970s. Five years ago I wouldn’t have called any of these “treasures.” But now I’m thrilled that my mom and MIL hung on to these things and gifted them to me on this trip. Fun! I bet you can’t wait to use these!